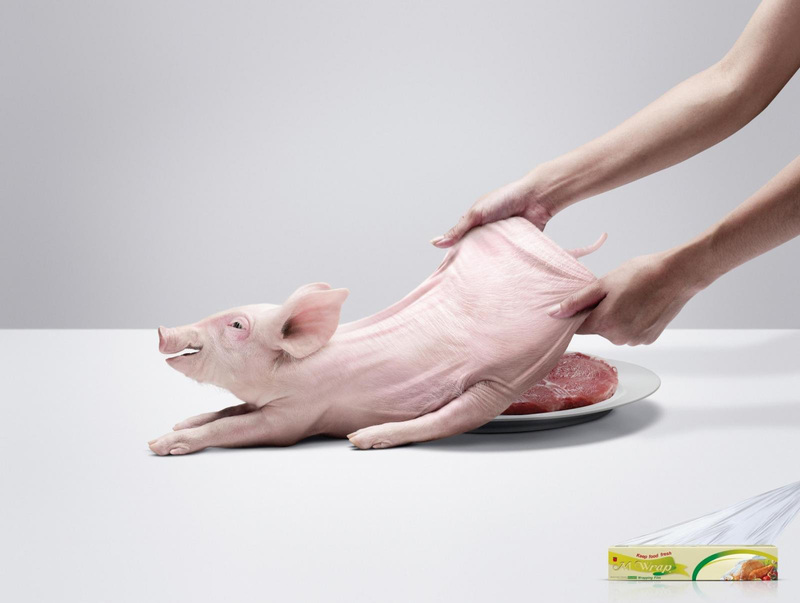 Pork chicken and fish meats are covered with natural, hygienic and effective protection in this award-winning print advertising campaign from Thailand. 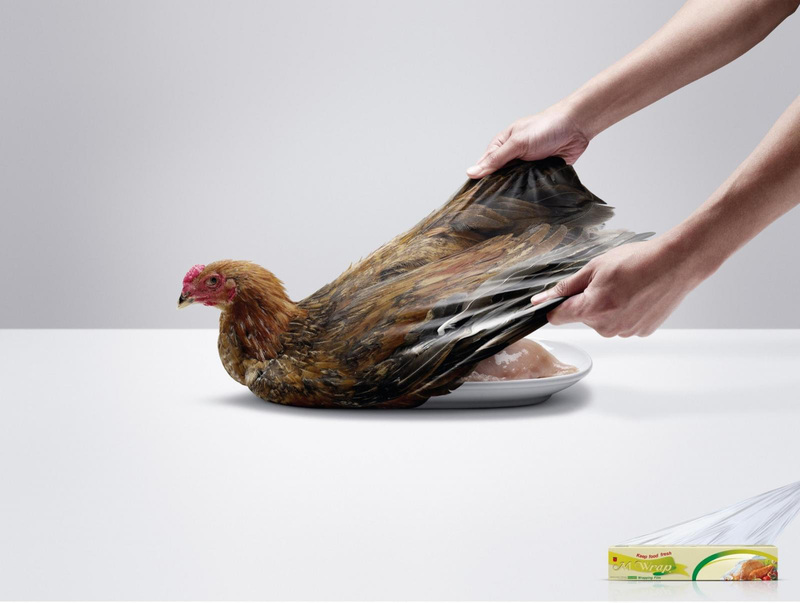 The M Wrap campaign uses retouched photographs of a pig, chicken and fish stretched over plates of meat, suggesting that MMP Corporation’s M Wrap polyvinyl chloride film is safe to use. The campaign won a Silver Outdoor Lion at Cannes International Festival of Creativity 2011. 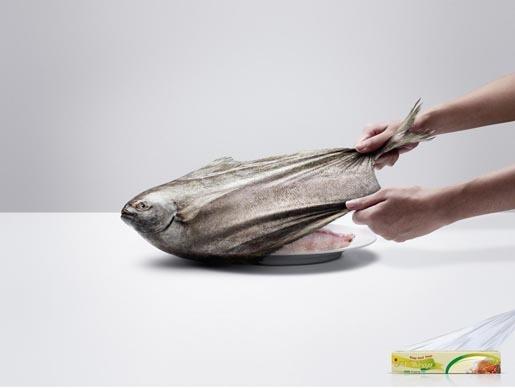 The M Wrap campaign was developed at Creative Juice\G1\TBWA, Bangkok, by chief creative officer/art director Thirasak Tanapatanakul, executive creative director Prangthip Seelos, art director Anchalika Ketwattanachai, copywriter Nattawut Sittiwaraphan, account manager Pongsuree Asanasen, photographers Anuchai Secharunputong and Nok Pipattungkul at Remix Studio.